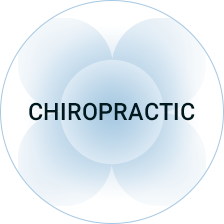 As an owner of Elements Health, Dr. Josline is proud to be serving her community through chiropractic care. She graduated from the Canadian Memorial Chiropractic College in 2003 and has been in practise in Spruce Grove since 2015. Dr. Josline is proficient in many techniques, including the Activator technique and is certified in the Webster Technique to provide care for expectant mothers and breech pregnancies. She is also trained to care for children through the International Chiropractic Pediatric Association (ICPA). Dr. Josline and her husband Steve have two school-aged children, Jackson and Sofie. Their family spends a lot of time enjoying the outdoors together, camping in the summer and skiing in the winter. They are both passionate about working in the community they live in and raising their family in Spruce Grove! The element I most identify with is the earth element, the “practical” element. I’m loyal, hard-working, empathetic, logical and nurturing. I am most in my element when…I am outside with my family, especially skiing in Jasper!